← strawberry spinach salad with poppy seed vidalia dressing. I realize that this will disturb and upset some people… but I am not a huge fan of chocolate. I don’t hate it or anything, it’s just not my favorite thing on earth. That being said, it might seem odd that I voluntarily made this exceptionally chocolatey dessert. I will admit that I was nowhere close to being able to finish an entire serving by myself; but, the lightness of the whipped cream and the freshness of the berries cut the dense, rich chocolate enough that I really enjoyed the entire dish. 1.) 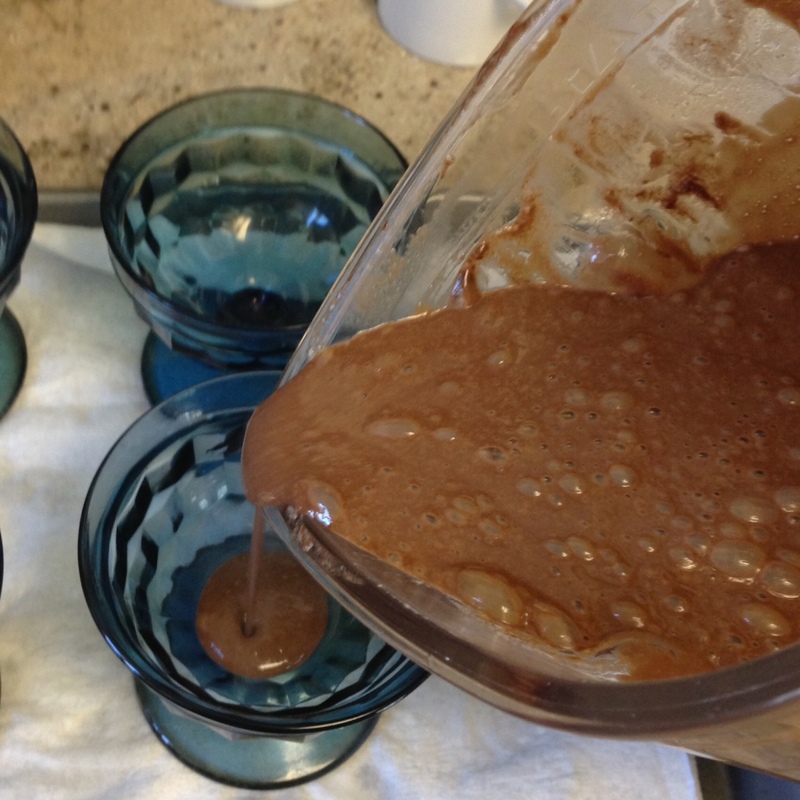 Place your chopped chocolate into your blender, and set aside. In a mixing bowl, whisk together 1 cup of the heavy cream, the whole milk, salt, sugar, and egg yolks. Pour this mixture into a medium saucepan, and set over medium heat. Before the custard has begun to thicken. 2.) 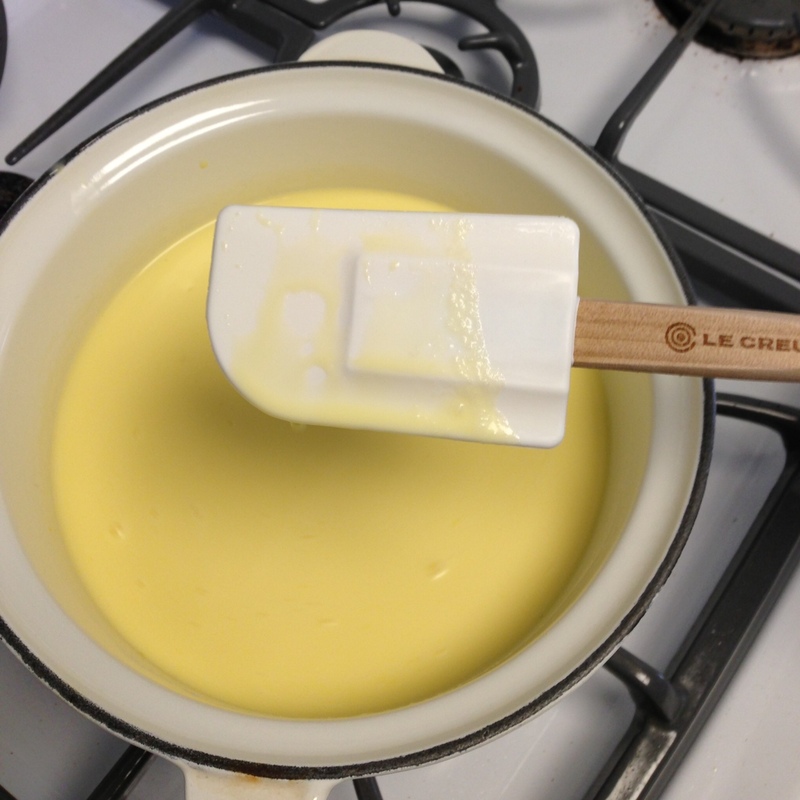 Continually stir the custard mixture as it heats up (do not stop stirring for more than about 20 seconds). As it heats, it will eventually stop making sloshy liquid sounds as it thickens a bit (for me, this took about 8-10 minutes). Once you feel the density and thickness of the custard change, make sure you continually stir. When the custard has thickened enough to coat the back of your spatula (do not allow it to boil), turn the heat off immediately. 3.) 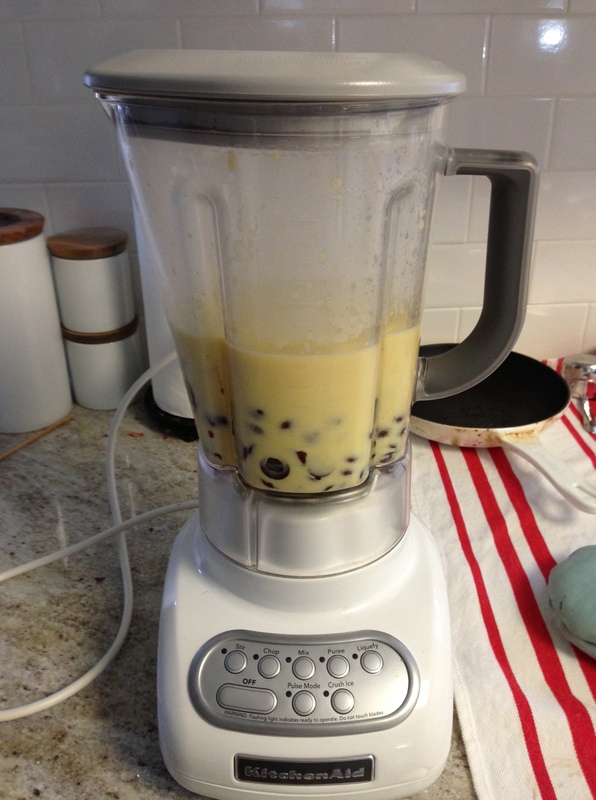 Carefully pour your hot custard into your blender, on top of the chocolate. 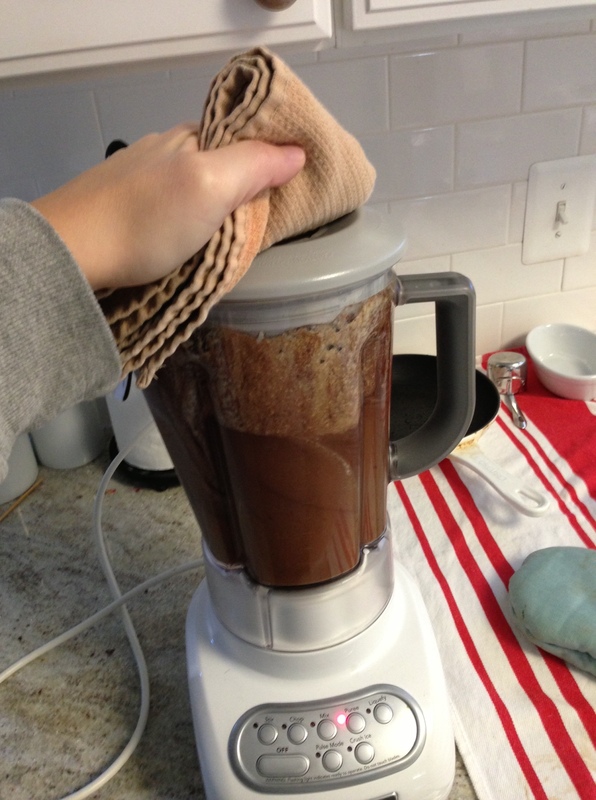 Place the cover on the blender, but remove the plastic center portion of the cover. Hold a folded dish towel gently over the hole in the cover (to allow steam to escape, so the hot liquid doesn’t explode out the top of the blender and cover you and your kitchen), and turn the blender on high. Allow the mixture to blend for about 90 seconds total, stopping once or twice to scrape down the sides of the blender, until the mixture is nice and smooth. 4.) 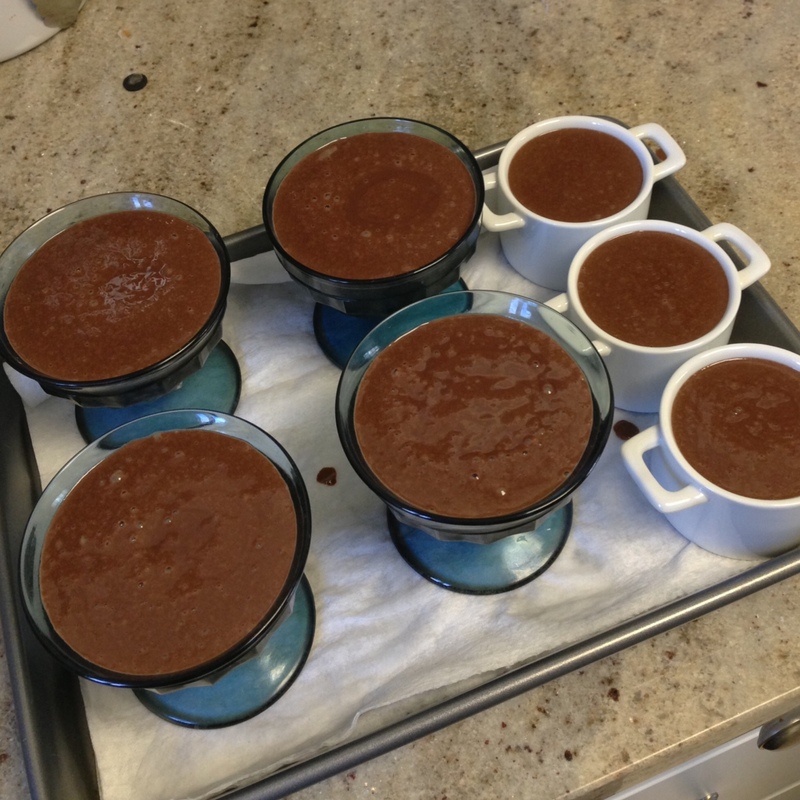 Carefully pour the mixture into small ramekins or cups. Place the filled dishes into the fridge to chill thoroughly and set, for at least 2 hours. 5.) 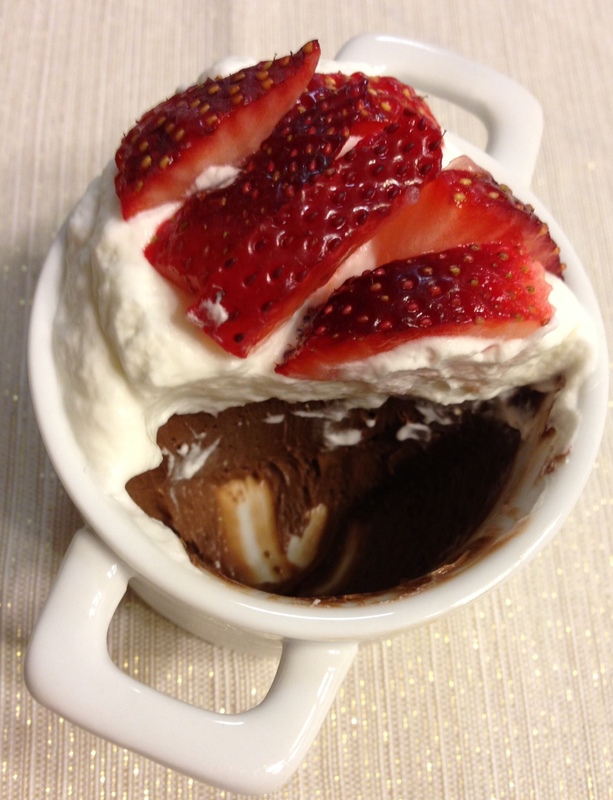 While the pots de creme set, go ahead and whip the remaining 1/2 cup of heavy cream. In the bowl of a stand mixer (or in a mixing bowl, using a hand mixer), use the whisk attachment to start whipping the cream on low. After it forms a good amount of bubbles (about 1 minute), start gradually increasing the speed. When the cream forms softs peaks, add the powdered sugar, and continue whipping until firm peaks form. 6.) 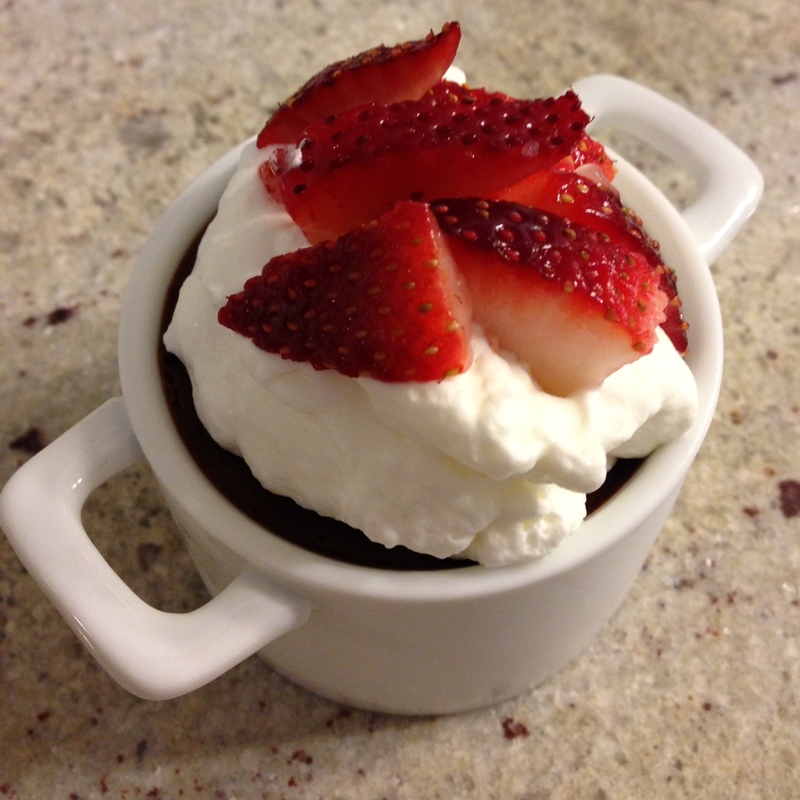 When the chocolate pots are ready, add a generous dollop of whipped cream to each one, along with a handful of whatever berries you prefer. Even for a non-chocolate lover like myself, the insanely silky and luscious texture of these pots de creme is hard to resist. It’s like you’re dipping your spoon into a cloud of chocolate! If you can spare 15 minutes to make/babysit the custard as it cooks, the rest of the process is incredibly quick and easy… and the result is beautiful, and delicious!